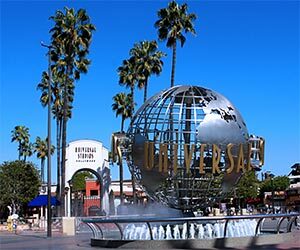 Amusement Parks in Southern California - major theme parks in the Los Angeles area, such as Universal Studios Hollywood, Disneyland, Knott's Berry Farm, Six Flags Magic Mountain, SeaWorld, San Diego Zoo and many more. Churches and Missions - Religious buildings which are also popular tourist destinations. The list includes Cathedral of Our Lady of the Angels (Catholic Archdiocese), First A.M.E. Church, Mormon Temple in Los Angeles, California Missions and other religious tourist destinations. Goodyear Blimp - The Spirit of America is stationed at Goodyear's airfield in Redondo Beach. 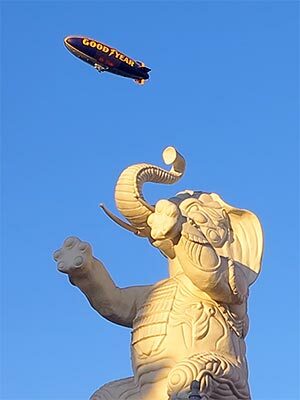 Although the blimp appears in various tourist destinations throughout Los Angeles, rides are not available to the public. Most of the riders are Goodyear customers, winners of local charity auctions, local dignitaries, or members of the press. 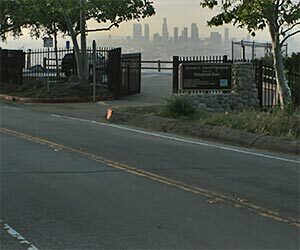 Golf Courses - Information about the LA County Parks golf system, offering affordable green fees, discount programs for seniors and students and a junior golf program. The website includes a list of public golf courses in Los Angeles, greens fees and other info. Guided Tours of Los Angeles and Hollywood - The easiest way to see L.A.'s best attractions is to let a pro show you around. Here are a variety of guided tours of Los Angeles, from the time-tested Grand Tour to the brand-new helicopter tours. See beaches, movie star homes, downtown and all of the attractions through the eyes of an expert! This is a great way to explore our great city, even if you've been here before. Shopping in L.A. - Malls, Shopping Centers, Open-Air Markets. Wilshire Boulevard - The boulevard spans 15.8 miles from Grand Avenue in Downtown L.A. to Ocean Avenue in Santa Monica. Take a journey down one of LA's most fascinating streets. An interactive map allows you to select points of interest along Wilshire Blvd so you can read details and view photos. Also includes Metro bus stop info. Related: Experience LA's bus tour of Wilshire Blvd.